SIX TIMES IN-A-ROW! Speechless again – that’s us. 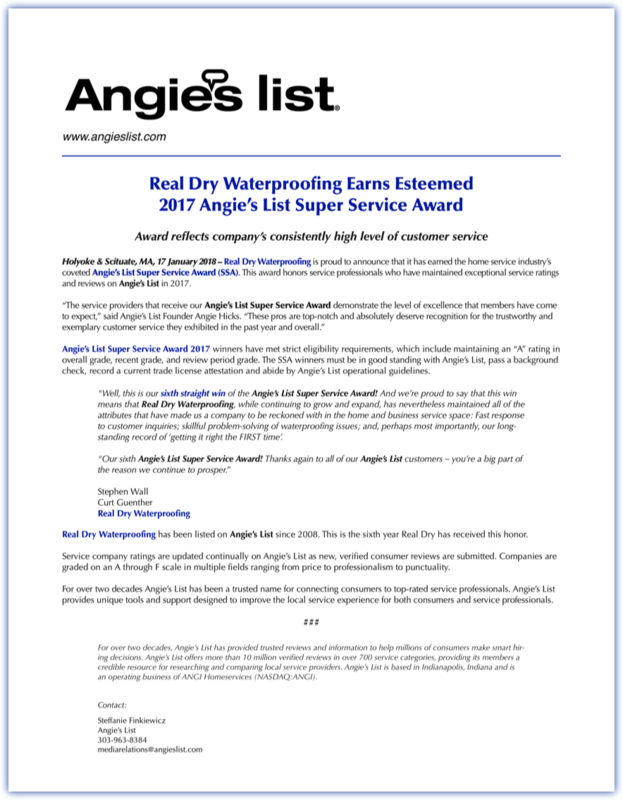 We work as hard as we can for our customers, and to have that result in a SIXTH Super Service Award from Angie's List? Unbelievable. Thanks again to all our Angie’s customers. We're proud to have been providing individualized waterproofing, foundation repair, drainage, crawl space, mold, sump pump, and backup system solutions to satisfied customers throughout New England, including Massachusetts, western Mass., Boston, the South Shore, Cape Cod, northern Connecticut, Rhode Island, and southern New Hampshire for 37 years and counting.